Did you know if you are an Amazon Prime member, you can read books for free on Amazon? They have a program called First Reads, where every month you can choose one eBook from a short list to own. I always pick one of those. But, this is something different. 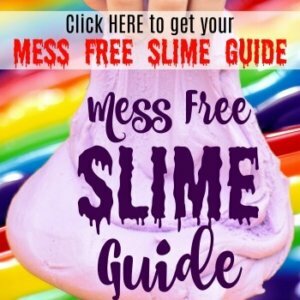 It started in 2016 and is called Prime Reading. It works just like a library. You can borrow books, magazines and other things, and then return them. 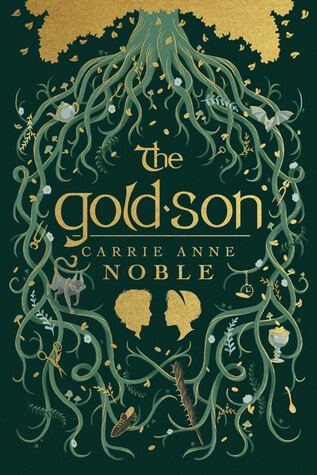 I just finished The Gold Son by Carrie Anne Noble. The Gold Son is the story of Tommin Kelly. He lives in Ireland with his grandma and makes beautiful shoes as a shoemaker’s apprentice, but he’s a “magpie” as his grandma calls him. He gets an itch for stealing gold and silver and nothing satisfies it. No matter what he tries to stop those cravings he has to steal. Tommin soon finds out he has been gifted (or cursed?) by Lorcan Reilly, a leprechaun who whispered an enchantment in his ear when he was a newborn. It made Tommin one of Lorcan’s Gold Sons. When Tommin is a teenager, Lorcan comes from him and tells him he can stop those cravings for gold and silver. Unfortunately, Tommin decides he’ll do anything to stop those cravings and follows him down to the “neathland,” underground where the leprechauns live. Along the way he becomes friendly with Lorcan’s other gold “son” who is actually a girl named Eve. Lorcan has ulterior motives of power, and in doing so, he forces her to dress like a boy and calls her Eevar. Tommin and Eve both become friendly with Lorcan’s slave fairy, Copper. Soon, the three decide they will get out of the leprechaun world and back to their own as soon as they have the chance. In the mean time, Tommin and Eevar are forced to attend leprechaun school where they learn the rules and regulations to being a leprechaun. 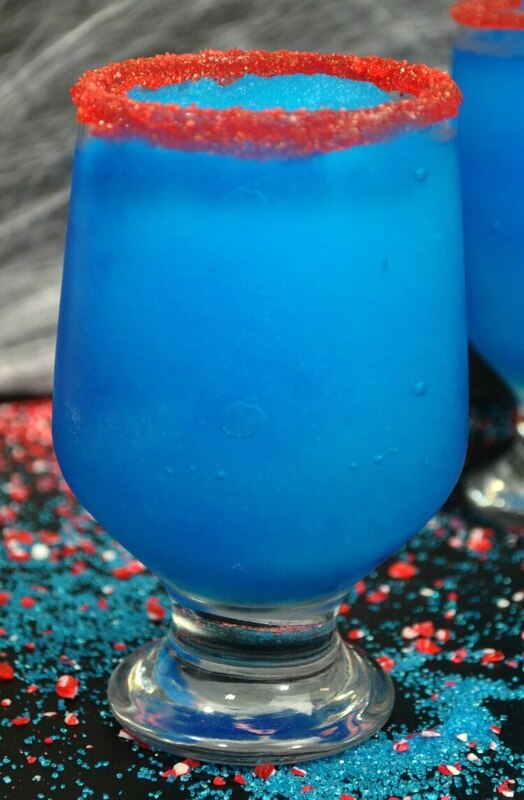 There are three levels to becoming a leprechaun, and after each level one must drink the Elixir of Fortune, a blue fizzy concoction that is intoxicating to drink, in a fancy ceremony. After the third drink, there is no turning back as you become a full fledged leprechaun. Did you know leprechauns are stolen children? They can’t reproduce, so they enchant newborn babies and then come back for them when they are teens. Leprechauns are only male — which is quite the problem for Eve. She doesn’t know what drinking the blue elixir will do to her. 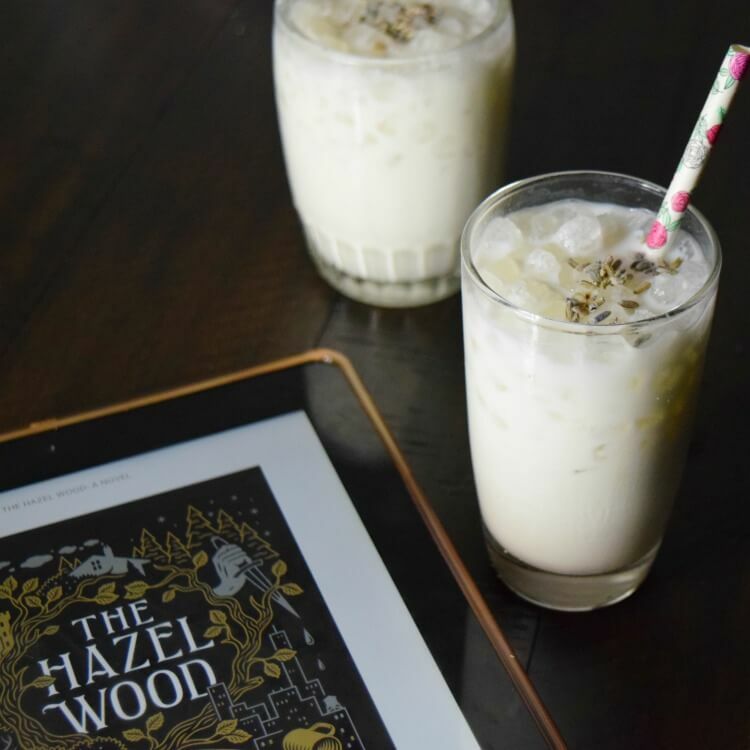 If you love fantasy fairy tales, this is a fun quick read. I thoroughly enjoyed it and finished it in about three sittings. I could not wait to find out if Eve would be poisoned or what when she took her first drink of the blue elixir drink. There’s also a tiny bit of romance between Tommin and Eve, and you root for them the whole time to finally get to be together. I have to admit I wanted to drink the Elixir of Fortune while reading about it. 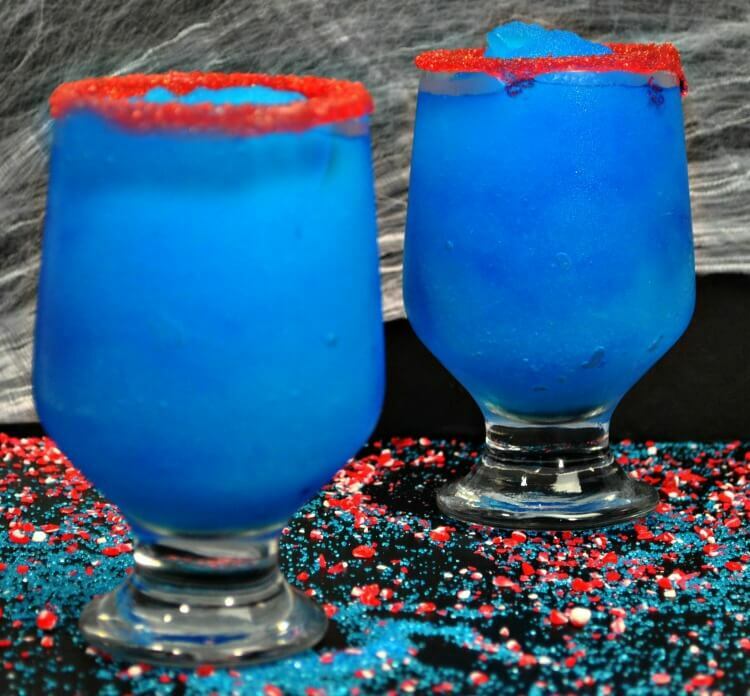 It sounds absolutely heavenly, and this blue drink comes close to tasting just like I imagined. It’s absolutely delicious! After the leprechauns drink that last third drink, they get to wear a beautiful red coat, which is why I thought dipping the glass for the Elixir of Fortune into red sugar would be perfect to finish it off. 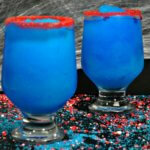 Drink this blue Elixir of Fortune and you might just turn into a full fledged Leprechaun! 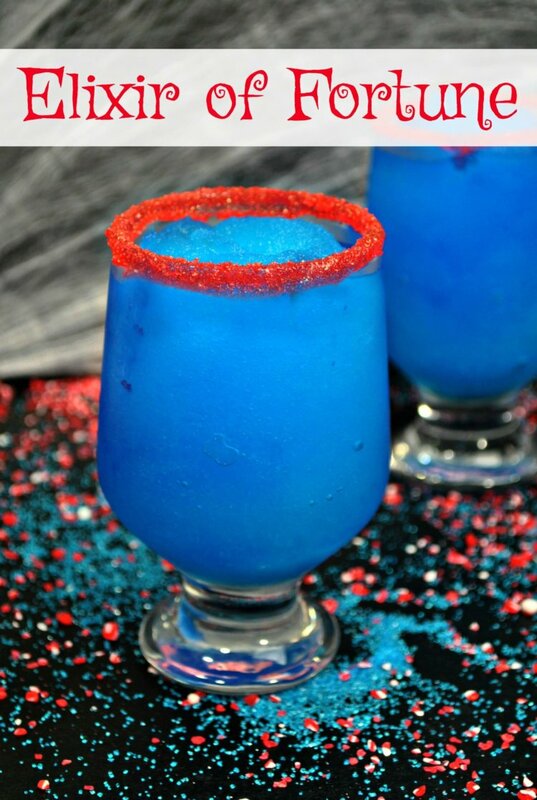 Dip each rim of the glasses into the simple syrup and then into the red sprinkles. Place all ingredients except lemon lime soda in blender. Pour into each glass and enjoy.